The Minnesota High School Mountain Bike League continues to grow by leaps and bounds, with over 1200 riders on 59 teams from across Minnesota. South High team members practice with riders from Washburn, Southwest, Roosevelt and other high schools in South Minneapolis for a total of 55 riders known as 612MTB. 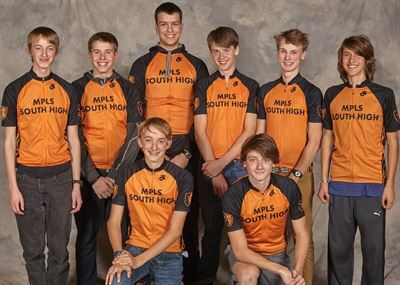 Students in 7th and 8th grades are welcome to participate on our 612MTB middle school team. 612MTB has some of the fastest mountain bikers in the state with multiple riders taking top spots on the podium. All riders contribute to the team point totals and exemplify qualities of class act student athletes. In 2017 the South Composite team finished 9th out of 16 teams for D1. We welcome participants of all abilities and experience. We train July - October.